Stinney, a social justice opera for soloists, ensemble, and chamber orchestra, will receive its upcoming world première in Baltimore, MD next weekend. The work will be performed at the 2640 Space at 7:30PM on the evenings of May 15th and 16th, 2015. “Stinney is an opera set in Alcolu, South Carolina in 1944. The story is told from the perspective of two young murder victims: Mary Emma Thames (age eight) and Betty June Binnicker (age eleven). The girls guide us through the repercussions of their horrific deaths and the ensuing trial of George Stinney, a fourteen-year-old African-American boy and the youngest person executed in the United States in the 20th/ 21st Century.” I had a chance to chat with composer Frances Pollock about her inspirations and thoughts about writing the work as well as putting it together for the world première in Baltimore. When listeners hear Frances Pollock’s voice, hailed for its full, rich lyric sound, they might be surprised to learn that they are listening to a woman who began her musical journey as a composer and theorist. 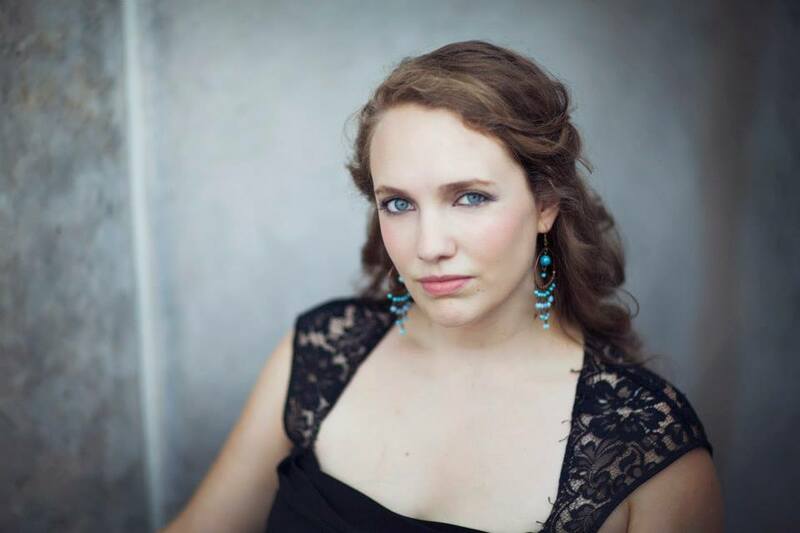 Once this fact is known, it comes as no surprise that this soprano, who eagerly tackles some of the most challenging and enticing repertoire of the 20th and 21st century, is sought after to première works of many up and coming composers. As a composer, Pollock draws inspiration from the evocative sounds of her native South and from her strong ties to humanism. Originally from North Carolina, Pollock’s music digs its roots into jazz, blues, gospel, folk, and a variety of other genres. Unafraid of looking for truth onstage, she is especially interested in themes that explore idealism and human nature. Pollock recently graduated from Furman University with a BM in Theory and Composition. She is currently completing her masters under the tutelage of Steven Rainbolt at the Peabody Conservatory. She has also studied extensively with Jill Feldman and Marilyn Taylor of the North Carolina School of the Arts. Pollock is currently involved in founding the new music group, “Prima Volta,” an upcoming group dedicated to help establish new music and fledgling professional musicians. Welcome to the Sybaritic Singer, Frances! You’ve been building your career as both a soprano and a composer. Your undergraduate studies at Furman were in Theory/Composition and now you’re working with renowned pedagogue Steven Rainbolt at the Peabody Conservatory in Baltimore, MD. Can you tell us more about discovering your voice both on stage and through composition? I love theatre. My whole life, I have been drawn to theatre because it has the ability to transcend the barriers of normal relationships and heighten them to a universal experience. I love that the ephemeral nature of plays and opera brings a certain audience together to for an experience that is only tangible in that moment. When I was growing up, I wanted to be a part of that creative process in any way. In eighth grade, I wrote a musical based on AA Milne’s “House on Pooh Corner” that was put on by a local theatre company. I wrote music for my high school choir and helped arrange tunes for my dad’s jazz band. I attended Furman, anxious to be the next Sondheim. When it looked like I was going to have more opportunities to perform rather than compose, I came to Peabody excited to hone my voice. Likewise, when this year presented me with a lack of singing prospects, I turned my attention to writing an opera that could give my peers a chance to perform. I was very lucky this year to find a friend and a mentor in Dr. David Smooke who paved the way to doing a project on such a large-scale and for having the backing of Peabody Conservatory and Johns Hopkins who have made many generous donations to Stinney. This year has been a whirlwind and I am very lucky to have had the support to create a work of this size. That is fantastic. I think there are many singers who can sympathize with a seeming lack of singing prospects their first year of graduate school. It is so inspiring that you’ve been able to create your own fulfilling projects. Going back a little farther, what about growing up in the South, specifically North Carolina, has influenced your work both in sound and concept? The music of the South is beautiful and typically overlooked in a classical setting. My dad is a jazz pianist, and I grew up immersed in the sounds of jazz, blues and everything country. That is the sound world that I am really comfortable in. When writing this opera, I wanted to maintain the integrity of the story in every aspect, including sonically. George Stinney did not grow up in the world of Mozart, Beethoven and Massenet. He grew up with gospel music, Baptist hymns, and folk songs. Using this music that I am personally familiar with provides authenticity to the story. Stinney has been called a social justice opera. What drew you to telling George Stinney’s experience of a disingenuous legal system and the mishandled evidence through music and theatre? What do you think makes this story vitally important? This opera did not start out as a social justice piece. I wanted to explore a story that I understood on a personal level. George was exonerated this year, 70 years after his death, gaining national attention and interest. At that point, this project was already underway. This opera became a social justice piece when the trend of police brutality surfaced with the unfortunate lack of indictment in the Michael Brown case. From there, it became important not only to express Southern culture from a personal perspective, but also to examine a racially divided world that exhibited parallels to the racism we see in our country today. This story is important because it shows the ramifications of a fearful and divided world and the devastation it can wreak on a younger generation. How has opera as a medium allowed you explore the larger issues of racial tension that are just as specific to that fourteen-year-old boy as they are to the current grievous state of our country at-large? Opera has always been a medium for political platforms. When Mozart was writing Le Nozze di Figaro, he was being revolutionary in his discussion of class systems and his portrayal of the protagonists as strong and independent female minds. Alban Berg’s Wozzeck is one of the strongest examples I can think of because of his inescapable portrayal of poverty and humanity’s disregard for human life. Stinney follows in this tradition in its depiction of relevant social issues. It paints an unfamiliar world and draws direct correlations between a tragedy in our past and contemporary social unrest. Baltimore is a diverse city that sees its residents separated along many lines: race, income, well-being, and education. Was it important to you to bring several communities together in performance of the opera? Absolutely. We are telling a story about a people divided. How can you tell a story like that without people from all walks of life? We are lucky to have a cast that hails from all across Maryland, bringing together many perspectives on race, religion, sexual orientation, age and socioeconomic status. Our rehearsal process has been as much discussion-based as it has been musical. The potent part of this project is interacting with people who appear to be different from you, but who come together for a passionate and unified goal: to tell the story of a community divided by fear that lead to the death of a fourteen-year-old boy. Do you feel that music, or specifically new music, has a duty or responsibility to be a manifestation of social justice? Would you like your work to encourage others to perform music in a way that underscores justice, health, and change? Art has to advocate for something. Not just a political something; it can be advocating for beauty or joy or compassion, but it needs to advocate for something. Artists have the unique responsibility to speak out because their works have the potential to reach a wide audience. There is an unsettling trend in the world of classical music to create music purely for the sake of entertainment. When media outlets talk about why classical music is dying, it’s because people need more than entertainment in their lives. We can worry about entertaining the masses when everyone is fed and housed and treated with compassion. In a time where there is devastating social unrest, why wouldn’t we as artists use our platform to advocate for equality and justice amongst all people? Stinney will be premiered in a semi-staged production on May 15thand 16th, 2015 at 2640 Space in Baltimore, MD. There will be a presentation on the history of the trial before the performance and a Q&A session with the performers and composer afterward. Admission to the performance will be free of charge; the show has been funded through a combination of grants and fundraising initiatives. Don’t wait. Reserve your tickets now.